A gorgeous and elegant genuine pearl rosary bracelet in 100% solid 14k gold. 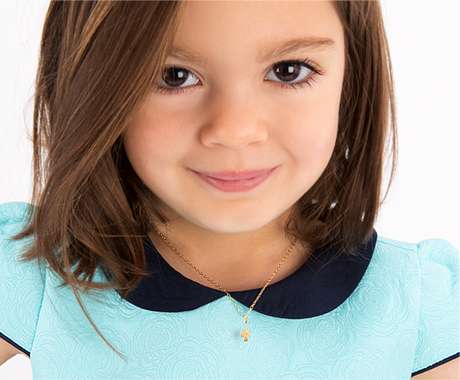 With a wide variety of options, including your choice of "Our Father Bead", cross charm, and optional other charms, you can create a more personalized look, just for your little angel. As a symbol or her faith and devotion to God, this gift is so meaningful and precious. A perfect keepsake for her First Holy Communion and a treasure she will wear for years to come. Tiny Blessings signature gift wrapping makes every gift giving experience extra special. She will love it, knowing it was made sized and designed, especially for her!